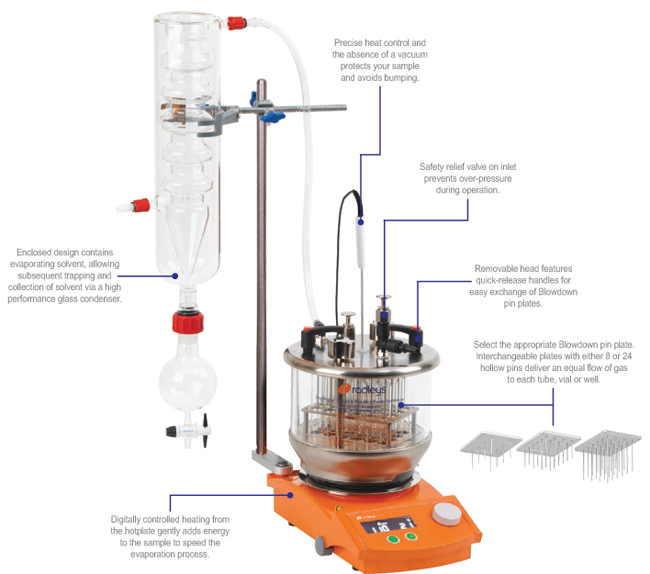 Precise control of inert gas flow combined with digital control of heating carefully evaporates your samples. 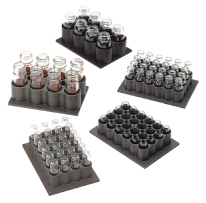 Interchangeable plates with either 8 or 24 hollow blowdown pins deliver an equal flow of gas to each tube, vial or well. 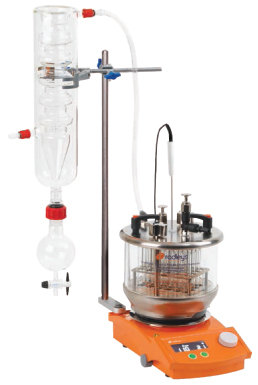 The absence of a vacuum avoids bumping, protecting the sample during evaporation. Nickel-plated aluminium offers excellent chemical resistance. Easy viewing of samples during evaporation.